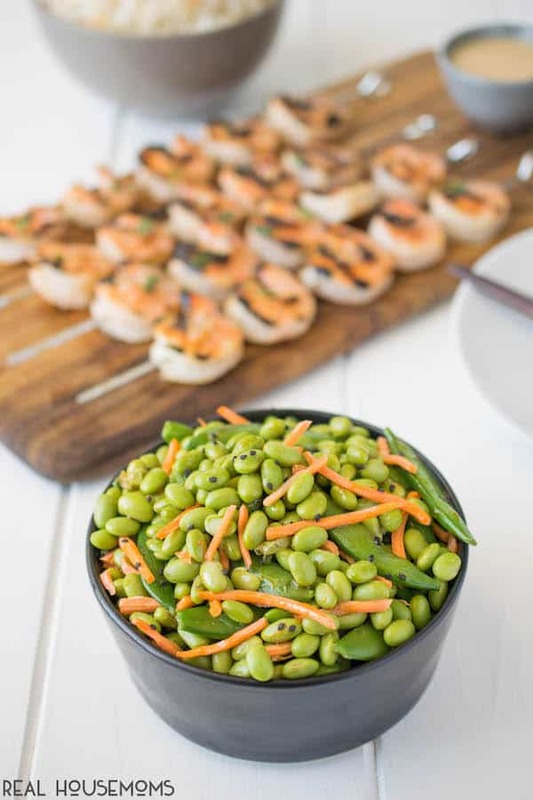 A quick and easy salad or side dish. 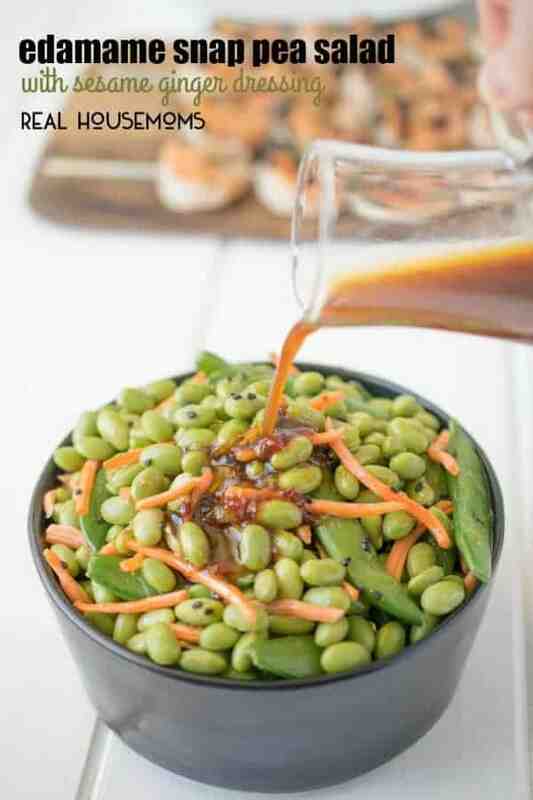 This EDAMAME SNAP PEA SALAD comes well-dressed in an umami inducing sesame ginger dressing! I made this salad as part of a complete dinner of grilled miso shrimp and toasted coconut rice for dinner last night after getting inspired at my local Japanese market, plus, the weather is getting warmer and I’m feeling very spring-like. The entire meal was so easy to whip up and it came together in just 30 minutes (after marinating the shrimp). The salad was the first thing on my plate that I devoured and went back for seconds, definitely the star of this show (with the shrimp coming in a close second). 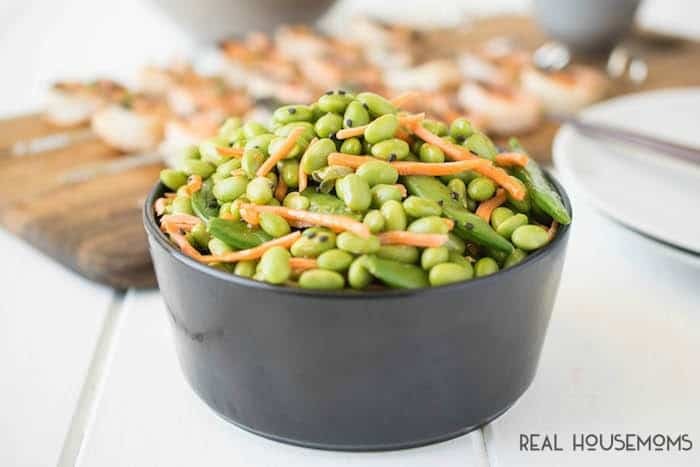 It must be the combination of the creamy edamame along with the crunchy snap peas and carrots balanced with the dressing that I have to say, makes this dish. It is perfectly salty, sweet with a tiny little kick from the chili paste. Did I mention that it’s also good for you? I’m sure you know that. I mean it is a bowl full of colorful good-for-you vegetables (you know, eat the rainbow). I am going to be enjoying this for my lunch today because the leftovers are amazing. They’ve been bathing in the gorgeous dressing since yesterday, soaking it all in!